Retail theft happens regularly. The items that are light and easy to carry are the ones that are stolen frequently, either by customers or even the store’s employees. To handle such issues, one of the best solutions is to install surveillance systems. Surveillance systems are very effective in detecting theft and finding the wrongdoer. But will they help prevent crime? While there are no certain guarantees in all cases, they should, indeed help in prevention. According to reports by the Association of Shoplifting Prevention, over 70% if shoplifters don’t really plan to steal in advance – they make the decision on the spot when they see an opportunity. Therefore anything that will prevent that sense of opportunity will be efficient. 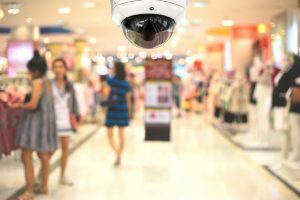 Visible retail store security cameras are among the best solutions to let shoplifters, be them customers or workers, know they cannot steal from your store. – Ensuring a good inventory system. An effective system will help realize a shortage and take corresponding measures. A prompt reaction will help catch the thief in time. – Organizing a security department. In case your budget allows it, it is recommended to organize such a structure inside the business. This will effectively help in preventing theft.